Heart disease is the number one killer worldwide and the best way to treat it is with preventative lifestyle measures. No one wants to die of a broken heart! It should be a priority to include heart health in your wellness program. Changing behavior is not easy, but it is never too late. Providing education on risk factors and behaviors that keep them at bay is a good place to begin. Not everyone who appears to be healthy actually is. Good cholesterol, bad cholesterol, healthy fat…what? Most people get lab results and see a bunch of random numbers with the words “high” and “low” next to them with no comprehensible meaning. Though everyone I coach sees an APRN within minutes prior to their appointment with me, they still feel confused about their lab numbers. Bringing a practitioner into your company for a quick education session and Q&A for your employees about how to interpret labs can be extremely valuable. If this doesn’t fit with your culture, informational pamphlets are also a great way to go. With no meaning behind what they are supposed to be doing, there will be little motivation to be doing those things. Periodic cholesterol screenings and blood pressure checks. Fitness Challenges with cardiovascular exercise focus like step challenges rewarded for participation. Host heart healthy recipe contests. Smoking cessation classes or groups. Provide stress management programs like yoga and meditation. 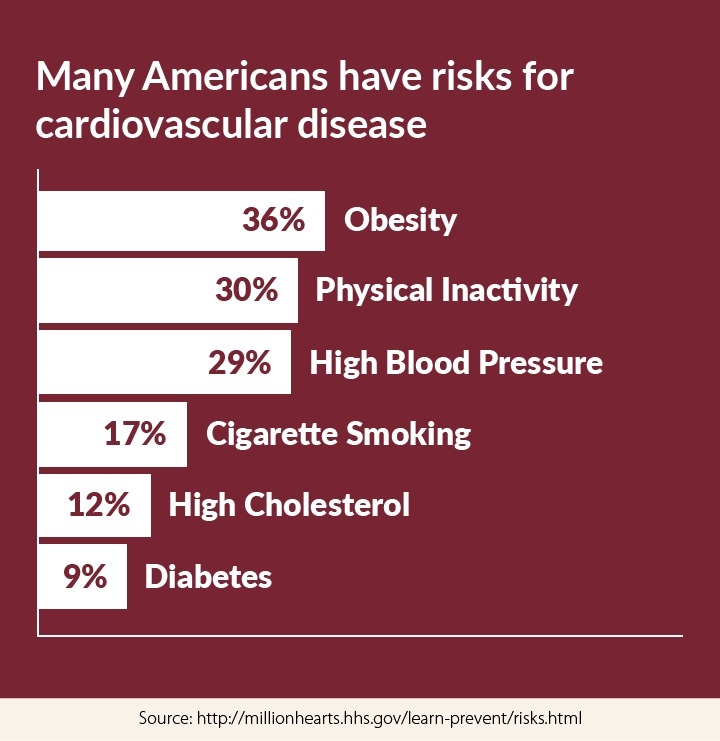 In summary, most cases of heart disease are preventable and you should be inspiring your workforce to want to live with healthy “happy” hearts by providing the resources they need. Learn more about your cholesterol numbers from the Mayo Clinic.